Do you consider yourself an absolute fanatic for Video Games, Anime, Cosplay or Movies/TV shows? Do you want to have the opportunity to receive the latest video game, go see the newest movie, or receive another anime show for free? If you answered YES to either one of those questions then you’ve come to the right place. Online Fanatic is looking to add some passionate contributors to its roster and it could be you! We are proud to announce our writer loyalty program and this is unlike anything you’ve ever seen before. Video Games (Mobile) Contributors – Here at Online Fanatic we primarily focus on the mobile gaming industry and are looking for the ultimate gaming fanatics who possess some writing flair. We specialize in providing guides that will help mobile gamers advance in the game quicker. We provide tips and tricks style articles and strategy style articles that give gamers the knowledge they need to get a head start in the game. Fret not if your favorite mobile game is not on the list. As long as you have knowledge on any of the games that are listed here: https://thinkgaming.com/app-sales-data/ we welcome you to submit your topic ideas you would like to write about. Note: Content you send must be 100% unique and not submitted elsewhere on the web. We check every article to make sure it isn’t plagiarized. We also reserve the right to choose whether an article is published or not. For Subject Line: Put article title in the subject line. Then, put your Author name after the title. 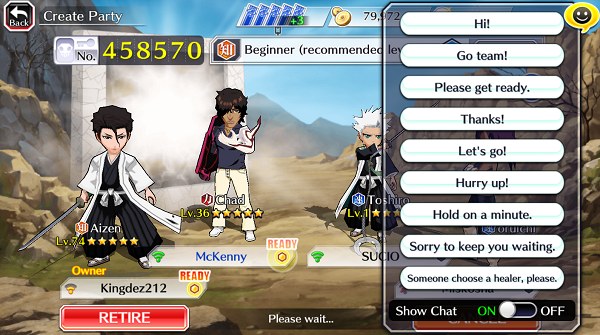 For example, a subject line will be “Top 10 Tips for Ultimate Ninja Blazing” by “Your Name“. Attach your document so we can review it. Make sure to follow the writing format guidelines outlined above. For the body of the email, just give us a brief description about your gaming background and let us know a bit about yourself. We are looking to hire full time writers for Mobile Gaming. Also let us know in the body of the email of how you want to be compensated. We offer iTunes/Google Play gift cards or cash to your PayPal. Provide your PayPal email in the body of the paragraph. If you are looking to be a long term writer, attach samples of articles you have written before and we may consider you to be a full time author here at Online Fanatic (You’ll start directly at LUDICROUS Contributor).